The first mechanical watch we have designed for Novak. 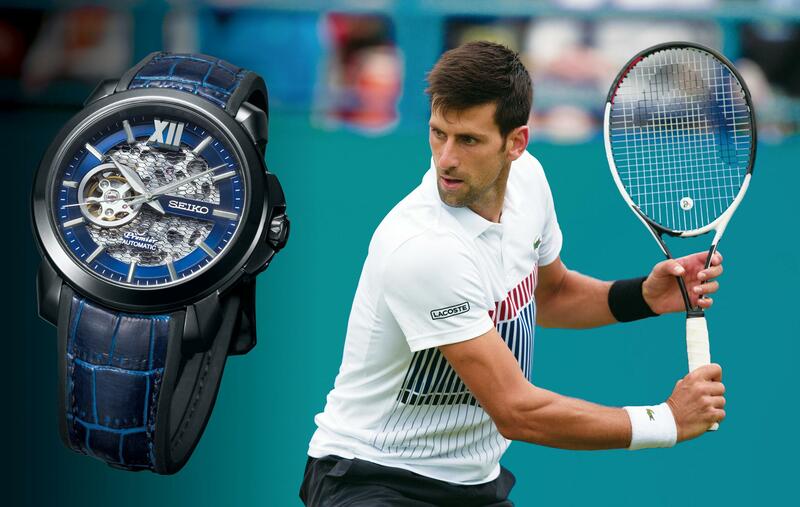 Following on from the success of the Kinetic Perpetual Premier watch that was designed last year for Novak to wear on formal occasions, the 2018 Premier creation for Novak returns to the tennis court. It is the first automatic watch we have ever created for Novak. 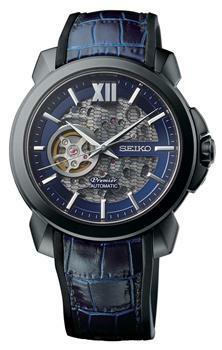 It incorporates a specially finished automatic caliber, housed in the classic Premier case. The markers, dial and strap have a powerful sports feel that, perhaps surprisingly, works in perfect harmony with the elegance of the case. A unique and striking dial takes you right to the heart of the action. It’s as if you are looking through a long lens at Novak’s racquet as he hits a ball straight at you. The ball is the “open heart” window through which you see the balance wheel spinning like one of Novak’s trademark cross-court slice shots and the mesh dial is like the strings of his racquet. The effect is as striking as it is appropriate for a watch that carries Novak’s signature on the case back and Novak’s ‘D’ emblem on the crown and is offered in a limited edition. There are two versions. The first has a strong blue and black color combination that accentuates the dynamism and sports character of the design. 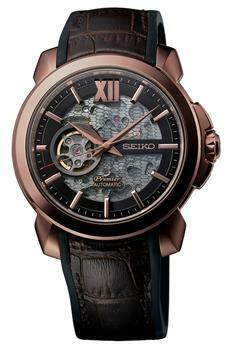 The second is in a rose gold tone that brings out the classicism of the Premier style. Both interpretations are offered with hybrid straps that, like the watches themselves, combine the sports and formal aspects of the design. The leather on the top surface gives the watch its classic feel while the silicone layer beneath ensures a comfortable fit on the wrist, even on the court. The movement is a new version of the 4R caliber, specially designed for a skeleton dial.The machining on the movement’s surfaces create a very pleasing three dimensional feelingthat attracts the eye and speaks eloquently of the inner quality of the watchmaking within. The version with the blue dial is offered as a limited edition of 2,000 and the black dial version with the rose gold tone case is an edition of 3,000. Both will be released worldwide in September, 2018.